Neville has been a consultant since 2004. Before joining Opsis Consulting, he spent twenty years working within the Commercial/Sales & Marketing functions of leading organisations. This included seven years with Dun & Bradstreet International before moving to Euler Hermes Plc where he became Head of Business Development for the Plc company alongside his role as Managing Director of Eulers Direct Sales Division. His experience in general management and sales/marketing has enabled Opsis customers implement cultural and process change initiatives within their organisations whilst also reviewing and improving their sales and marketing approaches, resulting in successful & sustainable Work Winning practices. Neville has also enabled customers of Opsis to design Customer Service strategies including the facilitated cascade of such strategies throughout their organisation and supply chains . He also specialises in the facilitation of major project start up workshops between Opsis customers and their clients enabling the transfer of best working practices to be agreed , implemented and reviewed . 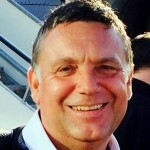 Neville has many years experience in performance management including one to one coaching with directors/senior managers alongside facilitation of competency profiling. A skillful presenter and facilitator who is focused on enabling people to realise their potential and simplify their approach to achieving their goals.